The course costs £130 and is open to anyone aged 14+. Anthony Taylor heads out to India this week to continue preparations ahead of the U17 World Cup. Anthony and his assistants, Gary Beswick and Adam Nunn, are the English representatives amongst the match officials for the tournament, which runs from 6th-28th October. We wish them all well! The end of the football season doesn’t send referees into hibernation for a few months. Our summer events programme started in late May with the County RA Quiz. Two teams represented Altrincham and had an enjoyable evening, bearing in mind that it’s the taking part that counts (Stockport won, again). As the weather heated up, so did our rivalry with our close neighbours. 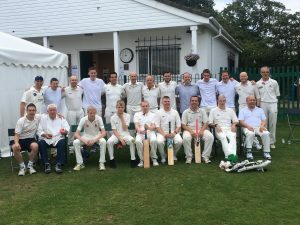 The Altrincham Refs v Stockport Refs cricket match was a success once again, and this time the result does matter (we won!). 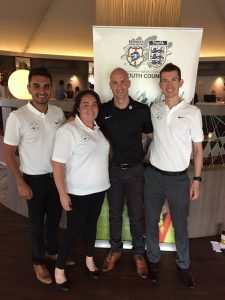 As thoughts turned towards the new season, a few of our members attended the RA Referee Development Weekend near Leicester, enjoying training sessions from multiple Premier League officials and the opportunity to network with referees from across the country. 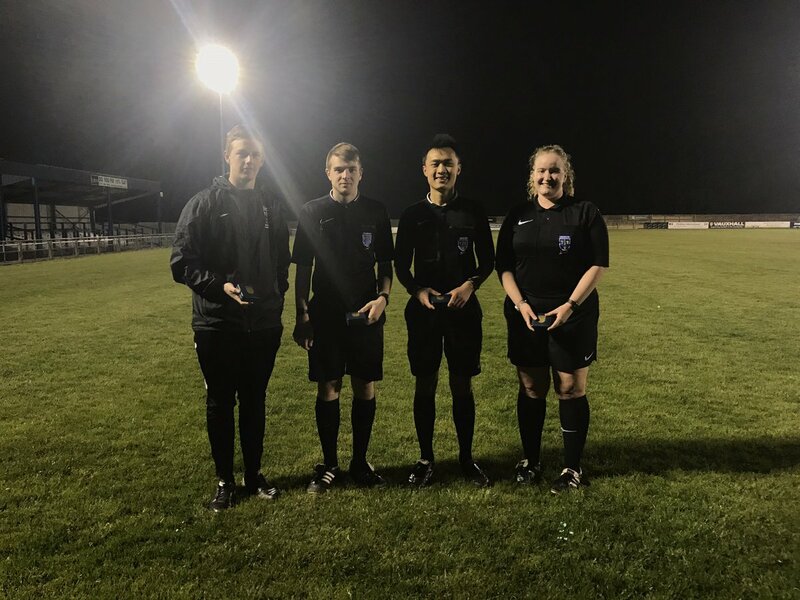 At the end of July we’ll have a number of members officiating in tournaments and pre-season friendlies, getting themselves ready for a flying start to the 2017/18 season! We’re absolutely delighted and very proud that Anthony Taylor has been appointed as referee for the FA Cup Final. 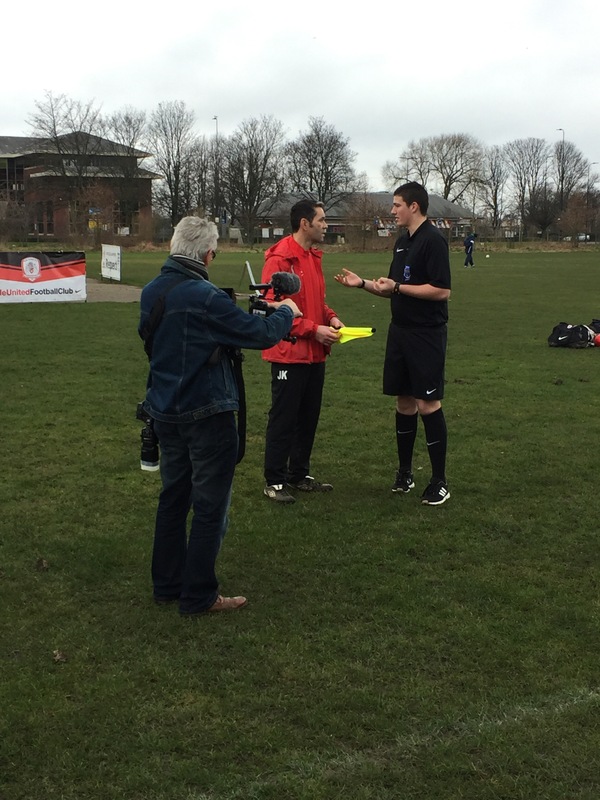 As a member of our society since he became a referee, we’ve had the pleasure of watching his progression from local football to the international stage, and now receiving the appointment that Anthony describes as “the pinnacle of your domestic career”. 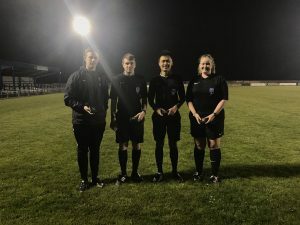 Congratulations to Oliver Chow and Charlotte Phillips who were Referee and Assistant Referee respectively for Wednesday’s Cheshire FA Ladies Cup Final, alongside Thomas Fox and Kyle Lord from Macclesfield. Please be aware that the Greater Manchester Marathon will result in travel disruption in parts of the district on Sunday 2nd April. Plan your journeys accordingly. Details and a map are in the link below. Huge congratulations to Simon Humphries and Ryan Watson who have been appointed to an International Youth Friendly match. Good luck to the whole team. 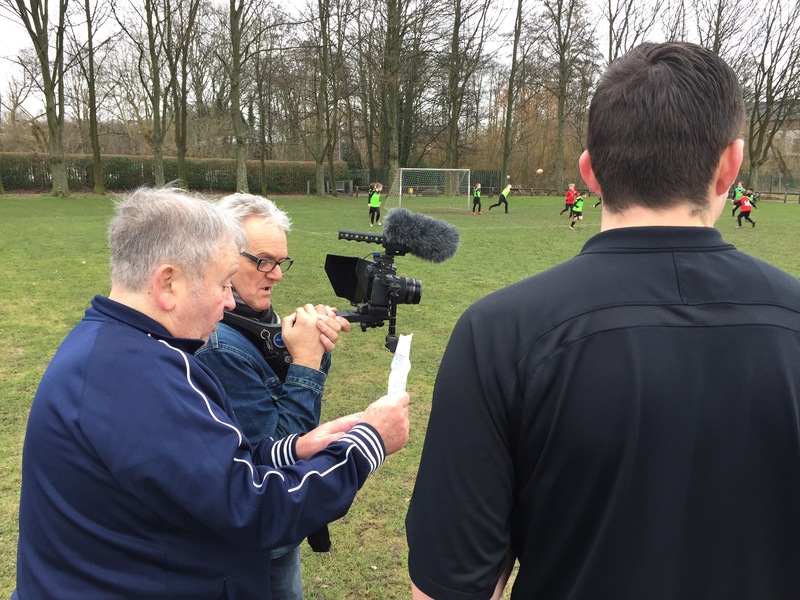 For the first time, we are producing our own training film to use for the development of our referees, allowing us to focus on the specific areas that are relevant to the majority of our members. The team were out filming this morning. Huge thank yous go to: Stuart Kay and Anthony Taylor for organising; Tom Cassidy for being the referee; Dave Cross (http://weddingdaymedia.co.uk/) for filming; Colin Dowdy and all the staff, parents and players from Sale Utd for their time and enthusiastic participation; Stephen Brown and Dennis Phillips for their assistance.